On this day the Church re-enacts the triumphal entry of Jesus into Jerusalem, seated on a donkey and lauded with songs and palm fronds. 8.30am Eucharist (said) with Blessing of Palms and the Reading of the Passion According to St Luke. This is followed by Morning Coffee. 11am Blessing of Palms; Procession through the streets of Greenwich Village with palms, live donkey, and brass band; Singing of the Passion According to St Luke; and Eucharist. This Eucharist is followed by Drinks and Lunch in Revelation Gallery. Caleb, the donkey, will also be available (for photographs etc) in St Benedict’s Courtyard for a short time following the service. If you do not normally attend our weekly Sunday Lunch at St John’s but would like to do so today, please register here for catering purposes. 6:15pm Tenebrae: a service of lessons and psalms with the gradual extinguishing of candles. On the Thursday evening before his Crucifixion, Our Lord Jesus Christ shared the ‘Last Supper’ with his disciples and washed their feet, before retreating to the Garden of Gethsemane. 6.15pm Eucharist of the Lord’s Supper with the Washing of the Feet, the Stripping of the Altars, and the Watch of the Passion at the Altar of Repose. Music includes Ubi Caritas (Gjielo) and Gregorian Chant. The Watch of the Passion takes place through the night into Good Friday Morning. If you are arriving for the watch later in the night, enter through the church (218 W 11th St) and proceed to the Common Room, where the Sacrament will be illuminated by candlelight at the Altar of Repose in the Common Room. Security will be present throughout the night. 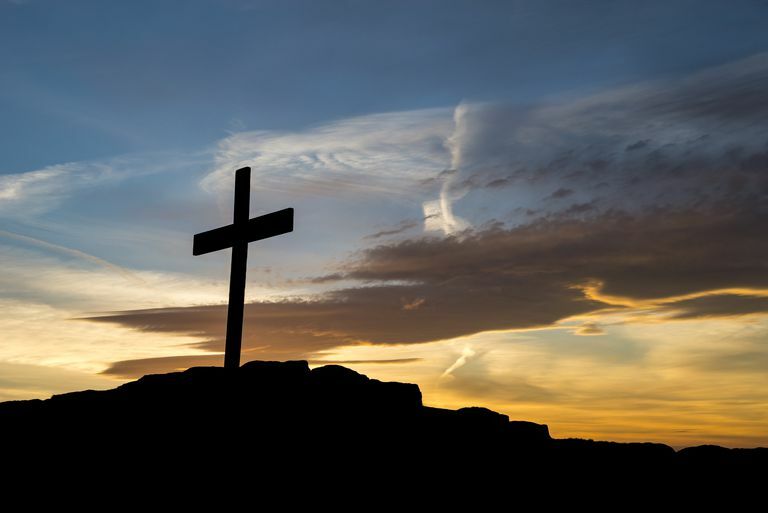 On Good Friday Christians mark the Crucifixion of Our Lord Jesus Christ, his Death, his Deposition from the Cross, and his Burial. 12.30pm The Great Liturgy of Good Friday, with the Singing of the Passion, the Solemn Collects, the Veneration of the Cross, and Communion of the Pre-Sanctified. 7.30pm Good Friday Concert: Stabat Mater by Pergolesi. For details of this concert click here. This is a simple quiet celebration of the Resurrection of our Lord, with no music or hymnody. Address by the Reverend Elaine Farmer. It is followed by pastries, champagne, mimosa, soft drinks, coffer, and tea. This is the principal service of Easter Day. St John’s Choir sings Mozart’s ‘Spatzenmesse’ (K 220) and the Eucharist is rich with hymnody and chant. Incense and Holy Water are used. Our guest preacher is the Reverend Elain Farmer. This Eucharist is followed by a Reception of Champagne and soft drinks in St Benedict’s Courtyard. During the Reception the annual Children’s Easter-Egg Hunt takes place in the Courtyard garden. 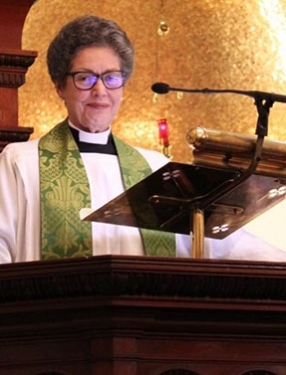 Our preacher at the two Eucharists of Easter Day is Mother Elaine Farmer, who is in New York City as the guest of St Thomas’ Church, Fifth Avenue, and St John’s in the Village. Mother Elaine Farmer was ordained in 1993, among the earliest women ordained to the priesthood in the Anglican Church of Australia. She has served in several parishes, taught homiletics and ministry formation, and has been Associate Editor of St Mark's Review, Australia's oldest theological journal. She has preached in Westminster Abbey and many other significant churches throughout the Anglican Communion. Elaine lives in Canberra with her husband, William, who has served as Australian Ambassador to Mexico, Papua New Guinea, Malaysia, and Indonesia.